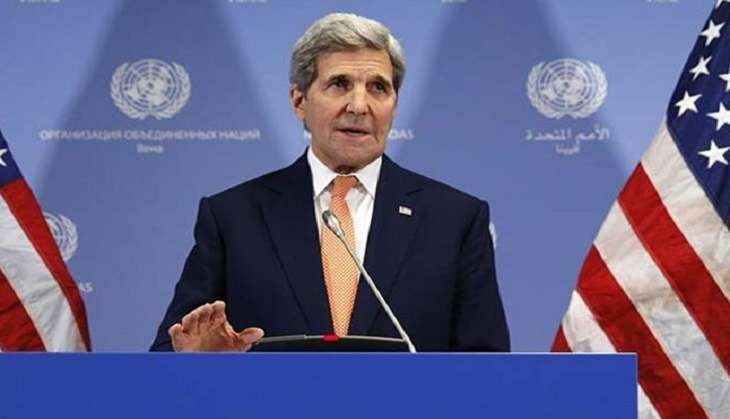 Later, State Department Spokesperson John Kirby said that John Kerry "reiterated the need for Pakistan to prevent all terrorists from using Pakistani territory as safe havens, while commending recent efforts by Pakistani security forces to counter extremist violence." "The Prime Minister and Secretary Kerry expressed strong concern with recent violence in Kashmir - particularly the army base attack - and the need for all sides to reduce tensions," he said. In one of the deadliest attacks on the Indian Army in recent years, 18 soldiers were killed and several injured as heavily armed terrorists stormed a battalion headquarters of the force in Kashmir's Uri town on Sunday. John Kerry also stressed the need for restraint in nuclear weapons programs. According to a readout of the meeting by the Pakistan mission, Mr Sharif asked the "US Administration and Secretary Kerry to use his good offices to help in resolving bilateral issues between Pakistan and India." In his meeting with British Prime Minister Theresa May, Mr Sharif again raised the Kashmir issue and asked the British leader to play her role in convincing India to stop the alleged use of force against the people in the region. Mr Sharif said Pakistan's support for Kashmiri people in their legitimate struggle for self determination and its commitment to the Kashmir cause are non-negotiable, according to information released by the Pakistani mission. Mr Sharif alleged that human rights violations and state oppression is at its peak in Kashmir and it is the duty of the international community to "ask India to immediately end state atrocities on innocent and defenceless Kashmiri people". He added that "if the international community does not succeed in asking India to immediately end state oppression on the people in Jammu & Kashmir, India will be encouraged to increase the intensity of the continuing state atrocities.